If you are caught up in the middle of large debt, life can seem overwhelming and exhausting. You may feel hopeless with the thought that you could never catch up on with your financial responsibilities. However, that is not the case. The U.S. bankruptcy laws were designed to help people find relief from overpowering debt. In fact, California bankruptcy are at an all time high. If you feel overburdened by financial debt, contact a Stockton bankruptcy lawyer for help. Bankruptcy is a legal proceeding in which an individual who cannot pay his or her bills can get a financial start. The right to file for bankruptcy is a federal law handled by federal courts. Once filed, all creditors cease seeking debts from you until they are sorted out according to law. There are two main types of bankruptcy – Chapter 7 and Chapter 13. Chapter 7, also known as liquidation bankruptcy, allows you to keep some property, divide other assets among creditors and see most debts canceled. You’ll still have obligations to pay property taxes and child support. This is the best option if you want a “fresh start”. The process begins when a trustee collects all of your assets and sells any assets which are non exempt. The trustee sells the assets and pays you any amount exempted. The trustee then takes the net proceeds of the liquidates and distributes to your creditors. In most Chapter 7 cases, the debtor has large credit card debt and other unsecured bills and very few assets. After the bankruptcy is discharged, you receive a fresh start. You have immediate protection against creditor’s collection efforts. Wages you earn and property you acquire (except for inheritances) after the bankruptcy filing date are yours, not the creditors or court. You lose your non-exempt property. Co-signors of a loan can be stuck with your debt. This is known as debt consolidation and reorganization. You will be able to keep all property and come up with a plan to repay creditors over 3-5 years. Under this process, a debtor proposes a repayment plan to the creditors. This is a great option if you want to prevent house foreclosure, make up missed car or mortgage payments, pay back taxes, stop interest from accruing on your tax debt, keep valuable nonexempt property and much more. There are many factors that will determine the amount to be repaid but it has to be as much as what the creditors would collect if the debtor filed for a Chapter 7 bankruptcy. You must have a “regular source of income” and some disposable income in order to apply. If you meet all the payment plans, all your remaining dischargeable debt will be released at the end of the plan. You can file for a Chapter 13 debt at any time. Deciding to file for bankruptcy is a very difficult decision. If you file, it can affect you in a variety of different ways and it’s best to talk to a Stockton bankruptcy lawyer who can give you the best advice for your current situation. Since there are different types of bankruptcy, one may be better for you than the other, or neither may be a good solution for you. Try to figure out if you can repay your debt by reducing your expenses, increasing your income, negotiating lower interest rates or sell some property. Get help from a credit counseling agency. Talk to a Stockton bankruptcy lawyer. Just because your owe money, doesn’t mean you need to file for bankruptcy. Sometimes adjusting your lifestyle can make a huge financial difference. Bankruptcy is a tricky legal process that requires expert help. If you’re going through a divorce, have co-signers, have student loans, or other complicated financial situations, filing for debt can get more complicated. The best thing you can do is contact a Stockton bankruptcy lawyer for help. An experienced bankruptcy lawyer will take a comprehensive look at your situation and weigh out the advantages and disadvantages. 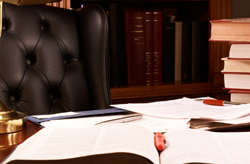 An attorney can rid creditors off your back and relive you from your stress.